Earl Parks was born on October 24, 1935, in Oklahoma. 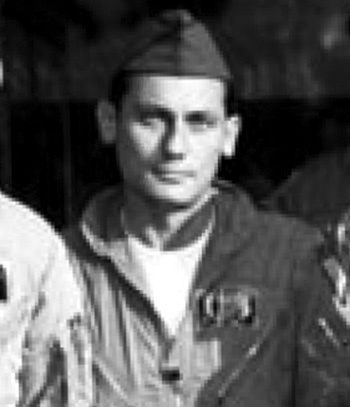 He enlisted in the U.S. Air Force on February 13, 1953, completed basic training at Lackland AFB, Texas, in April 1953, and completed Jet Aircraft Mechanic School at Amarillo AFB, Texas, in August 1953. His first assignment was as a B-47 Stratojet Crew Chief with the 32nd Bomb Squadron of the 301st Bomb Wing at Barksdale AFB, Louisiana, from August 1953 to March 1956, followed by service as a B-47 aircraft mechanic with the 12th Bomb Squadron at Abilene AFB (later renamed Dyess AFB), Texas, from March 1956 to November 1958. Sgt Parks served as an aircraft maintenance technician with the 341st and then the 96th Organizational Maintenance Squadrons at Dyess AFB from November 1958 to February 1963, and then as an aircraft mechanic with the 509th Organizational Maintenance Squadron at Pease AFB, New Hampshire, from March 1963 to May 1966. SSgt Parks' next assignment was as an MC-130E Combat Talon I flight engineer with the 779th Tactical Airlift Squadron at Pope AFB, North Carolina, from May 1966 to March 1968, and then as an MC-130E flight engineer with the 15th Special Operations Squadron at Nha Trang AB, South Vietnam, from March 1968 to October 1969. His final assignment was as an MC-130E flight engineer with the 7th Special Operations Squadron at Ramstein AB, West Germany, from October 1969 until his retirement from the Air Force on December 31, 1973. During this time he served as flight engineer on the MC-130E "Cherry One" during the Son Tay Raid, a clandestine mission to rescue American Prisoners of War in North Vietnam on November 21, 1970. Earl Parks died on September 14, 1990, and was buried at the Nowata Memorial Cemetery in Nowata, Oklahoma. Staff Sergeant Earl D. Parks distinguished himself by gallantry in connection with military operations against an opposing armed force during the Prisoner of War Search and Rescue Operation at Son Tay, North Vietnam, on 21 November 1970. On that date, Sergeant Parks performed aircrew duties on the lead aircraft of the force penetrating deep into enemy territory in the attempted rescue effort. With complete disregard for his personal safety in the face of enemy fire, he skillfully performed his normal aircrew duties and other functions which involved many highly important and precisely timed activities. Sergeant Parks' outstanding performance under harrowing circumstances contributed greatly to the success of the operation. 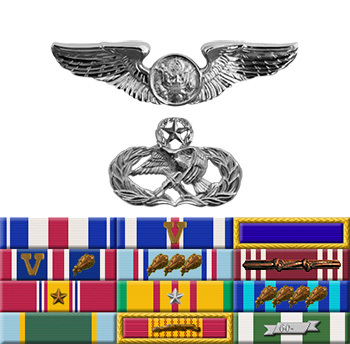 By his gallantry and devotion to duty, Sergeant Parks has reflected great credit upon himself and the United States Air Force.